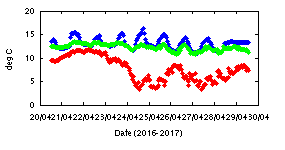 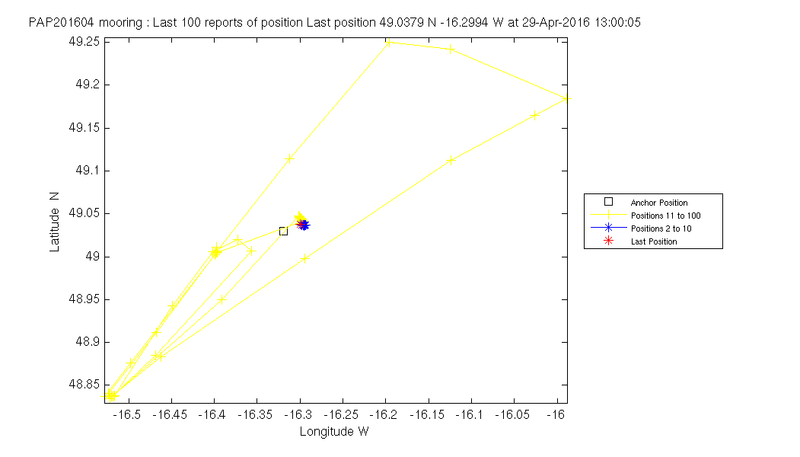 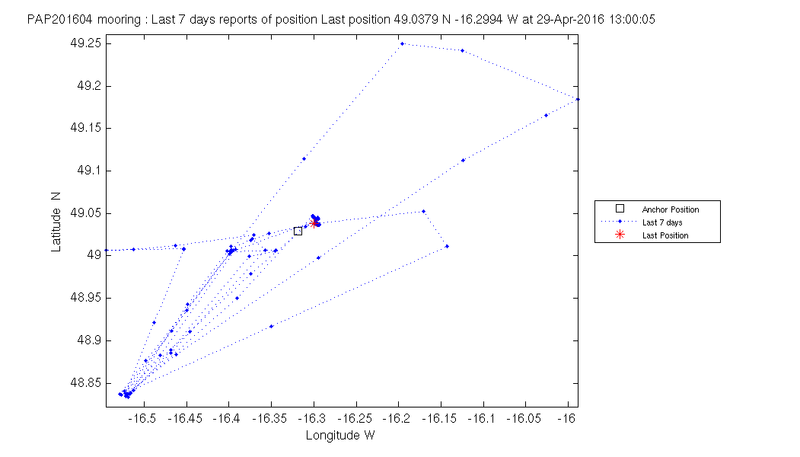 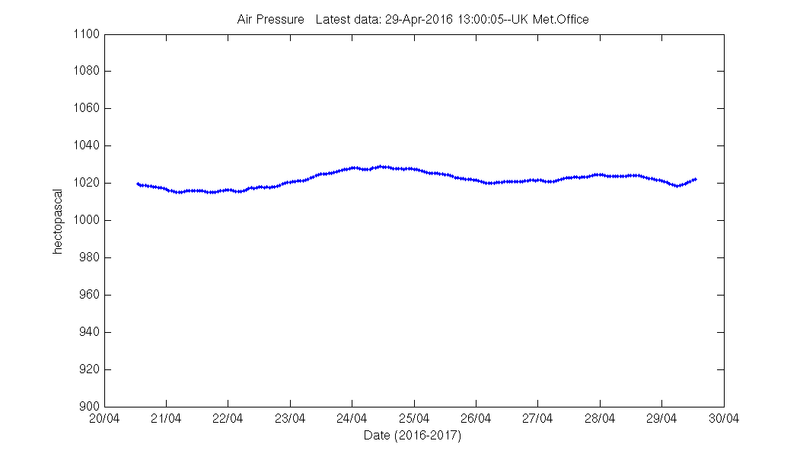 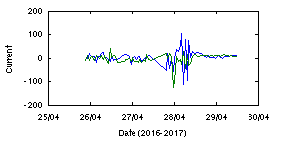 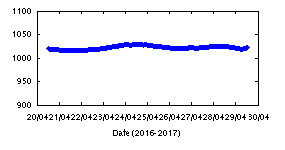 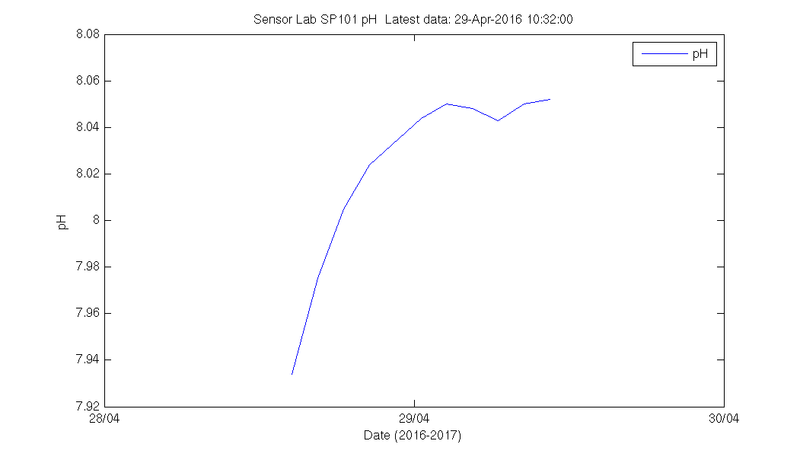 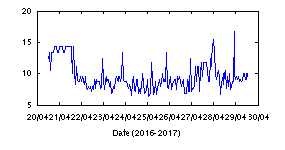 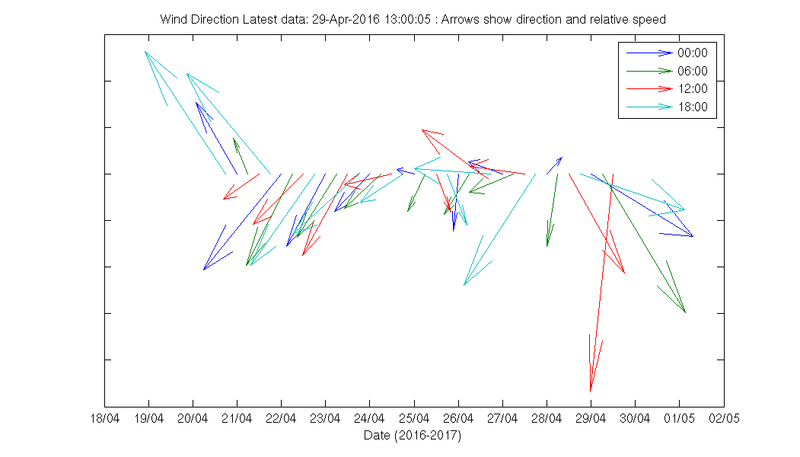 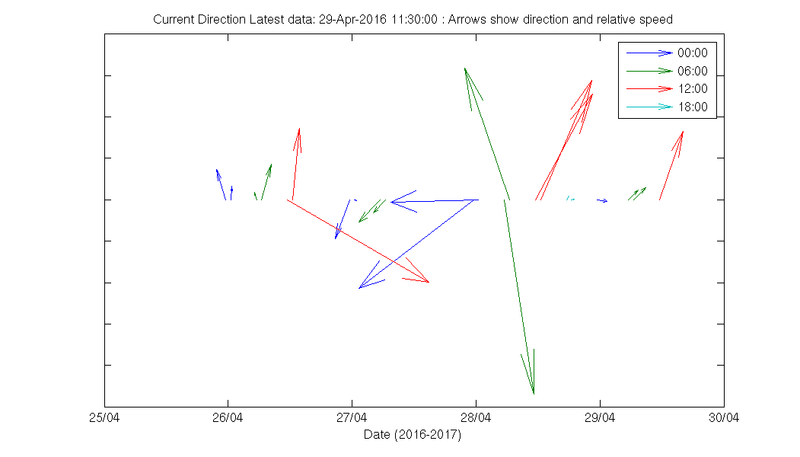 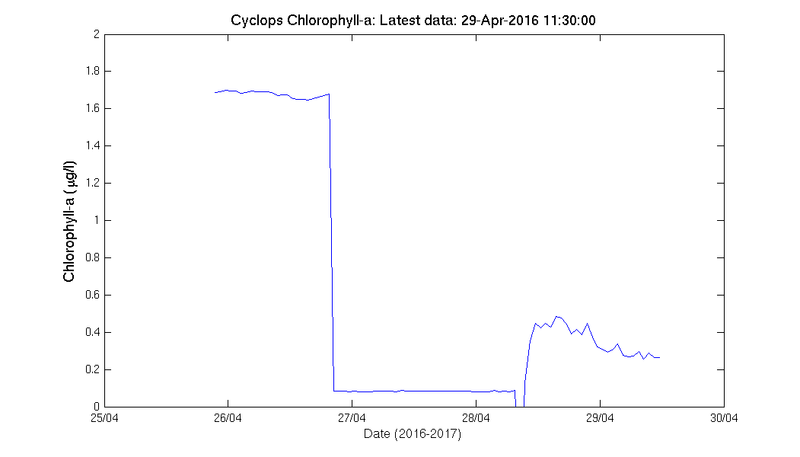 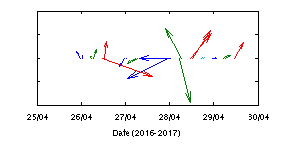 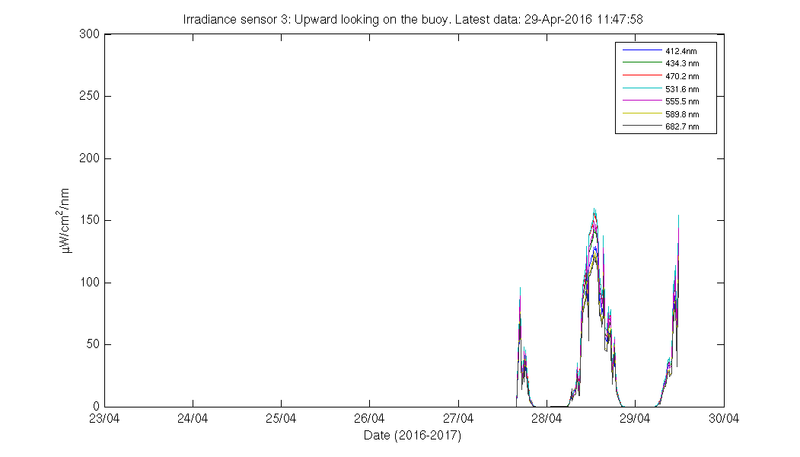 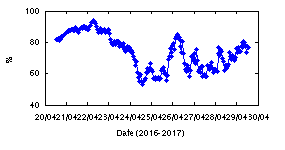 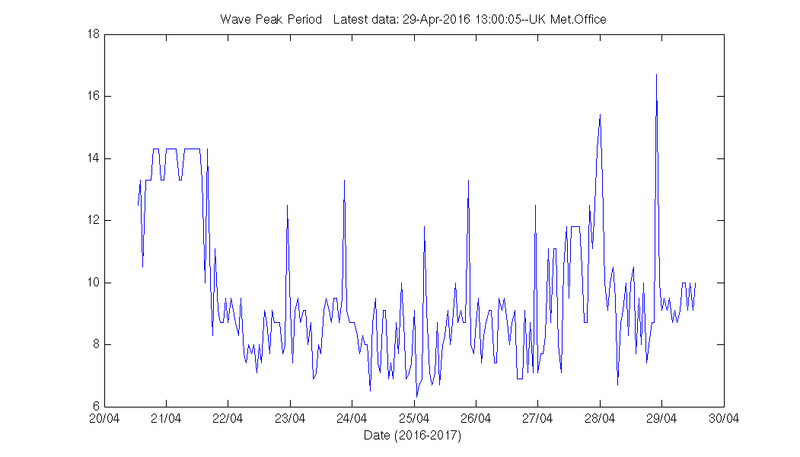 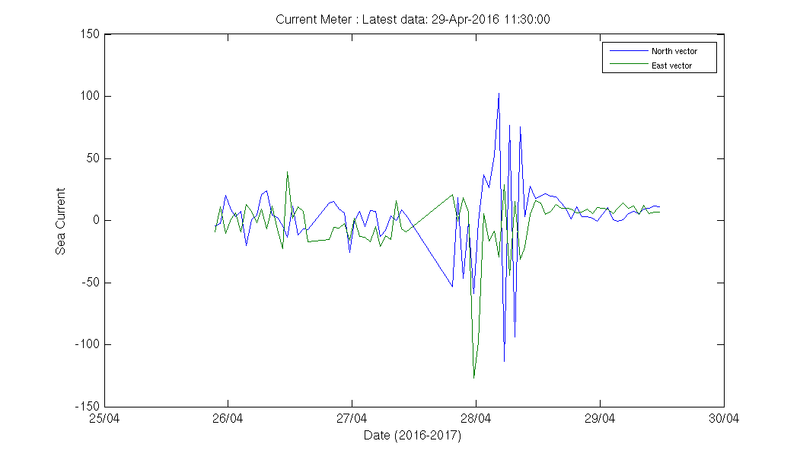 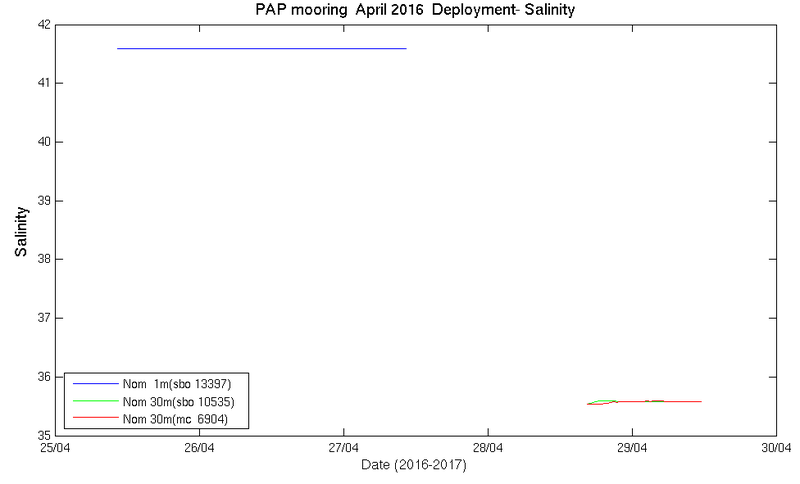 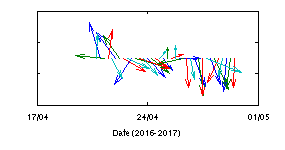 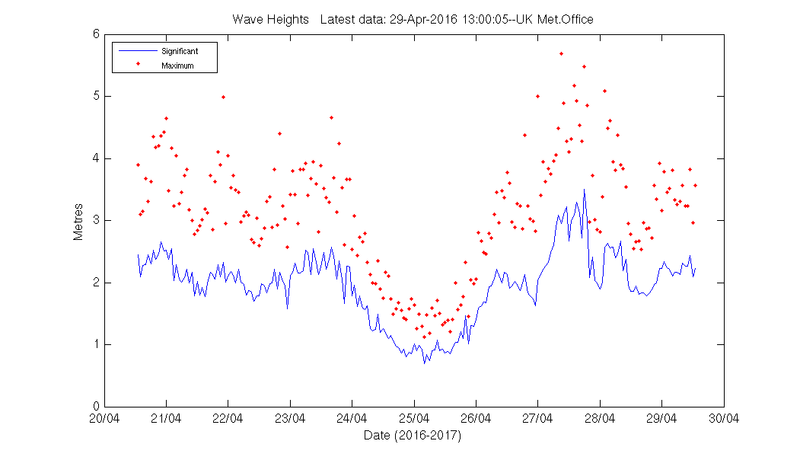 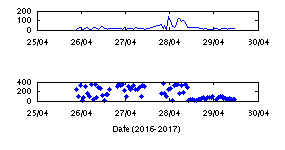 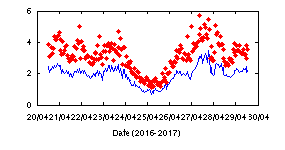 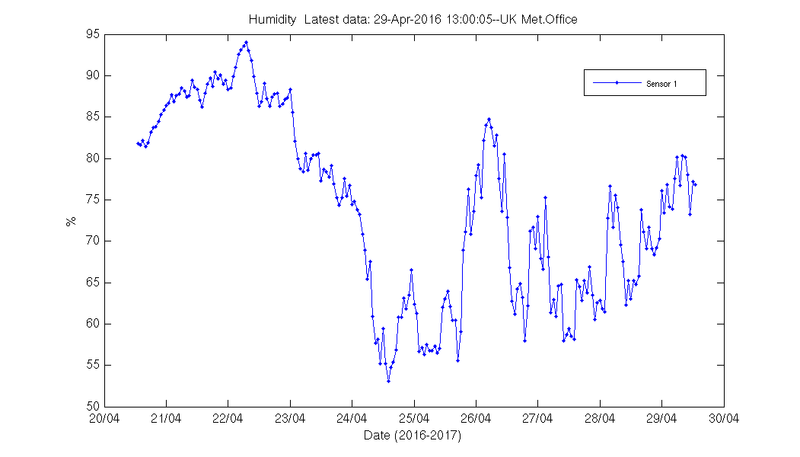 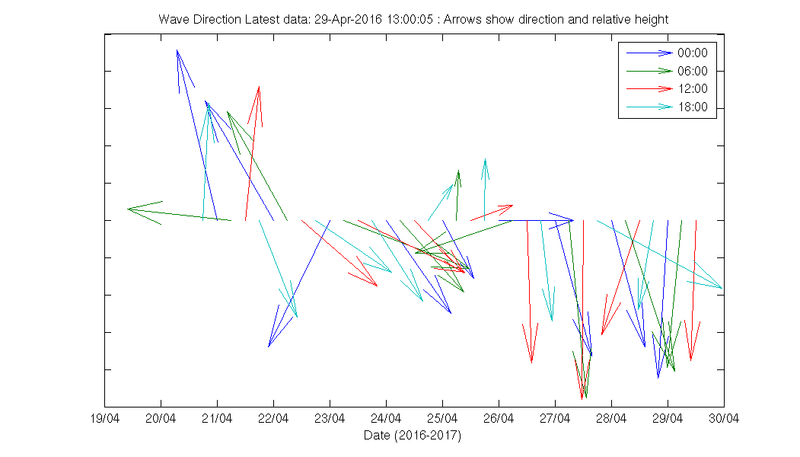 The near real time data from the deployment in April 2016 are available below. 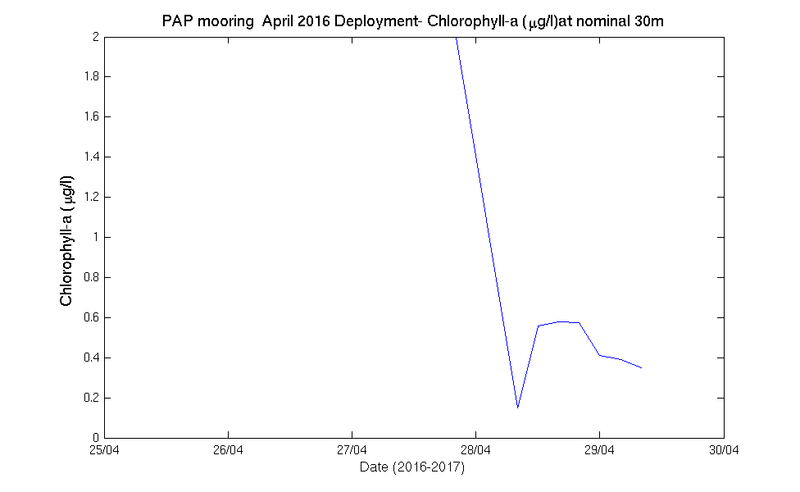 Unfortunately, the transmission failed shortly after deployment, and near real time data feeds were lost. 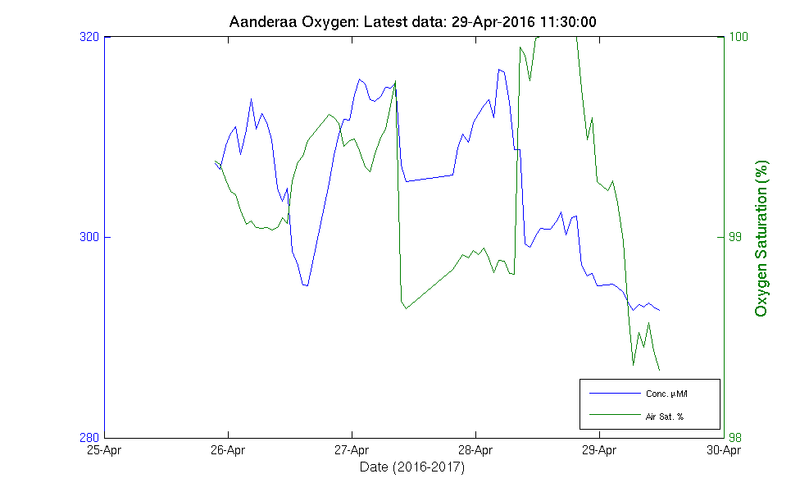 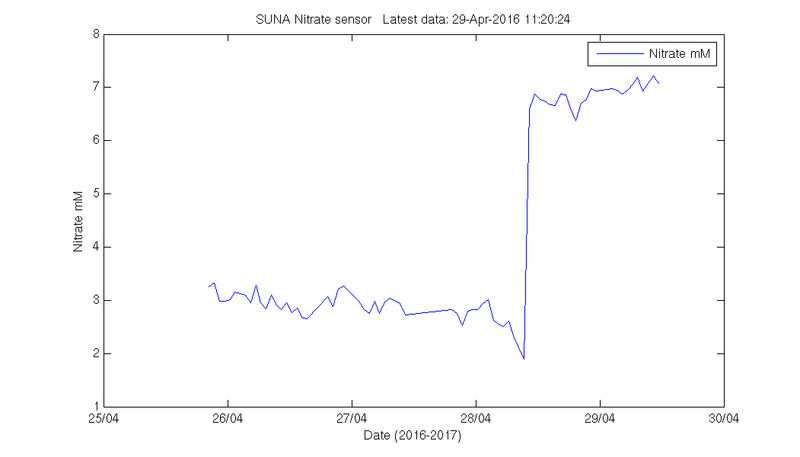 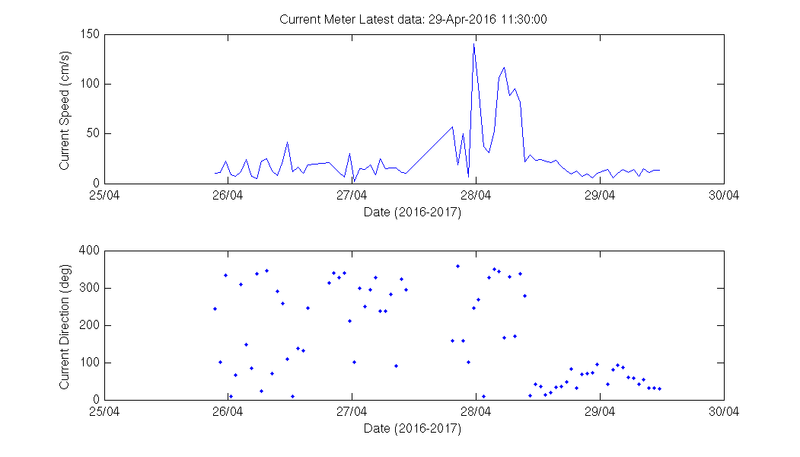 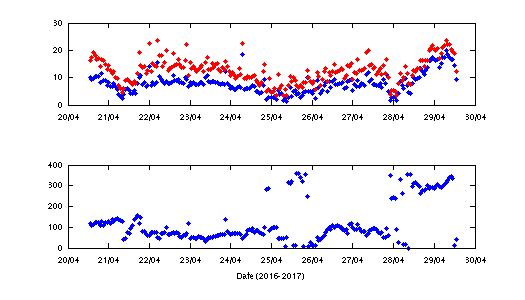 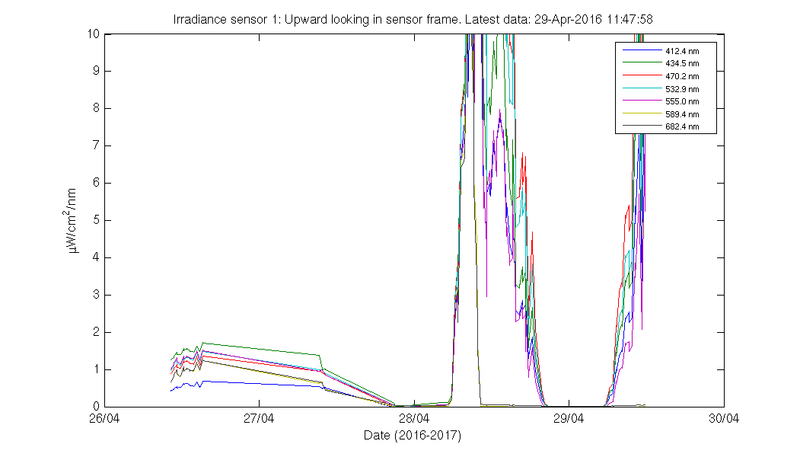 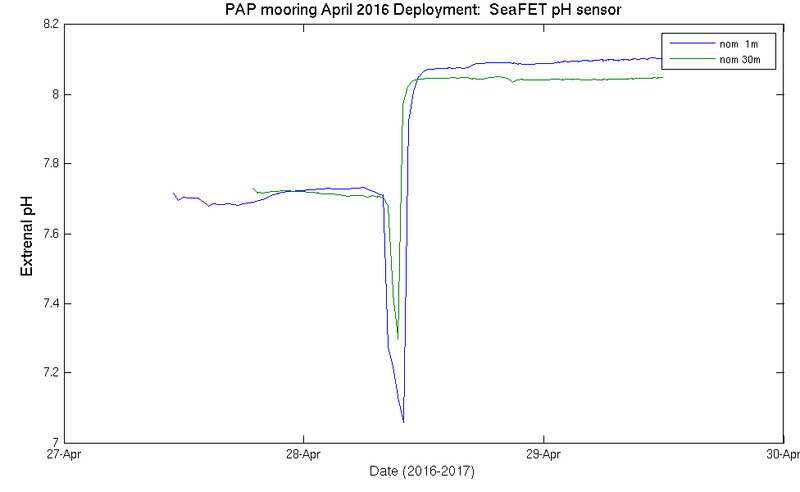 The sensors continued to operate and record data locally, and were recovered in April 2017 when the mooring was serviced. 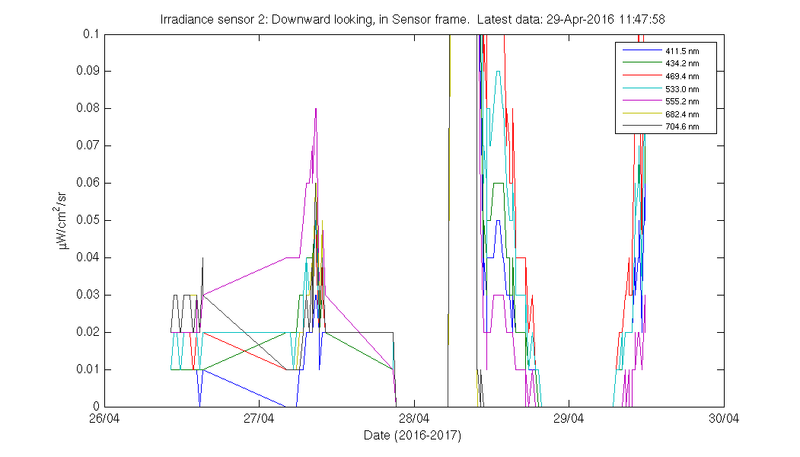 We will add the delayed mode data as soon as it is quality checked. 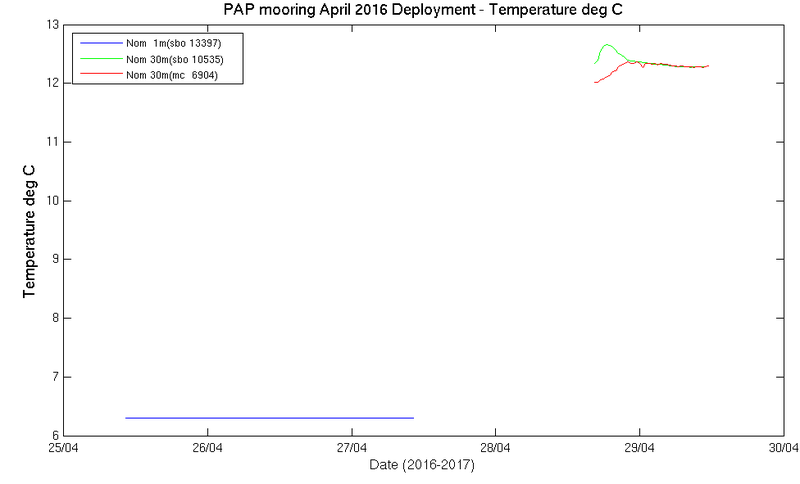 A diverse range of Essential Climate variables are measured and sampled at the PAP site from the atmosphere and surface ocean to the seafloor. 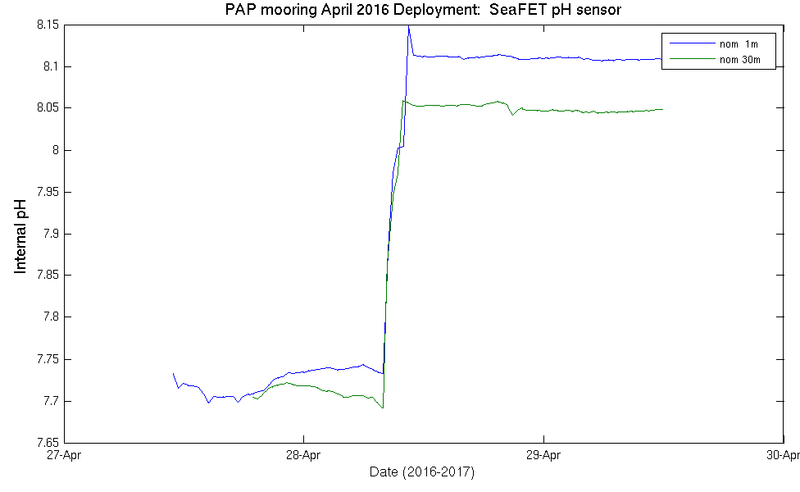 Seafloor sampling includes trawling, coring, towed camera systems from a research ship and time-lapse photography. 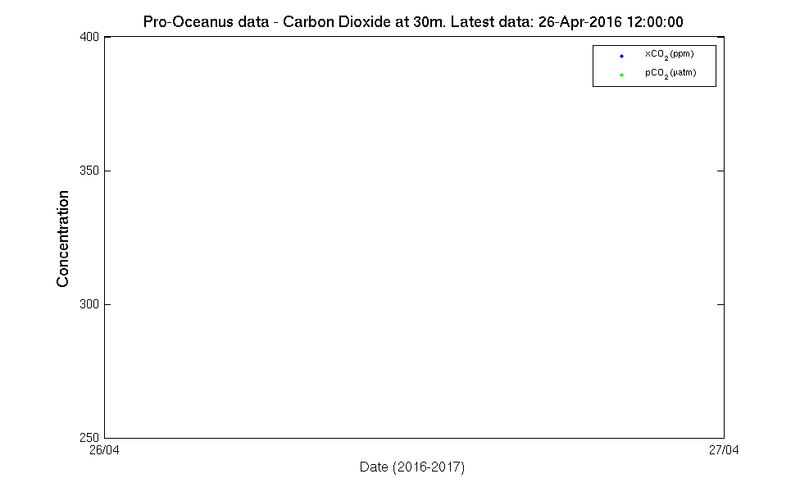 Since 2002 many of the upper ocean measurements (0-1000m) have been transmitted in near real-time. 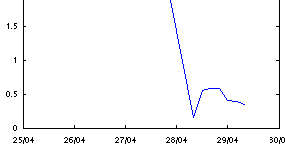 To download data in ASCII format click here. 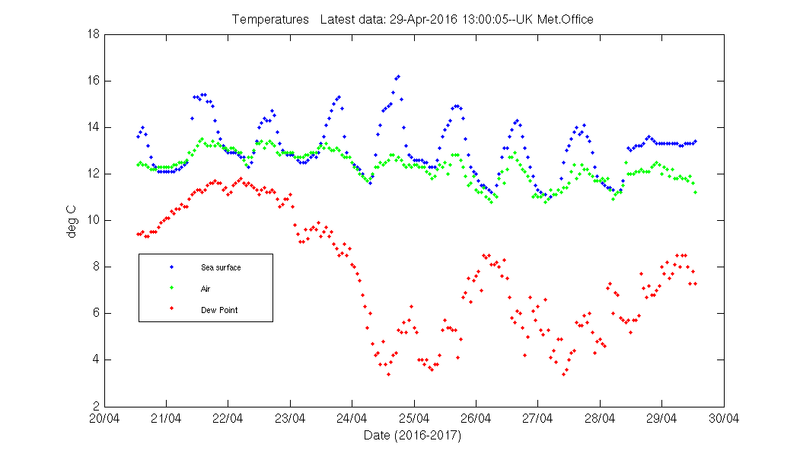 To download data in OceanSITES Netcdf format click here. 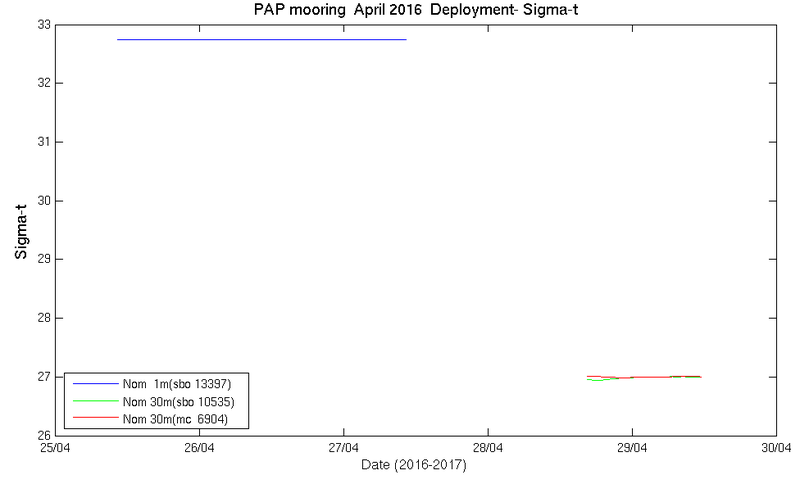 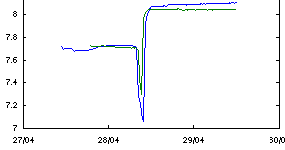 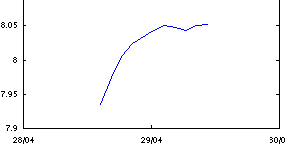 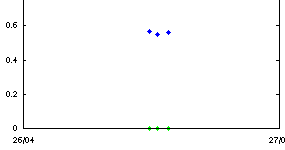 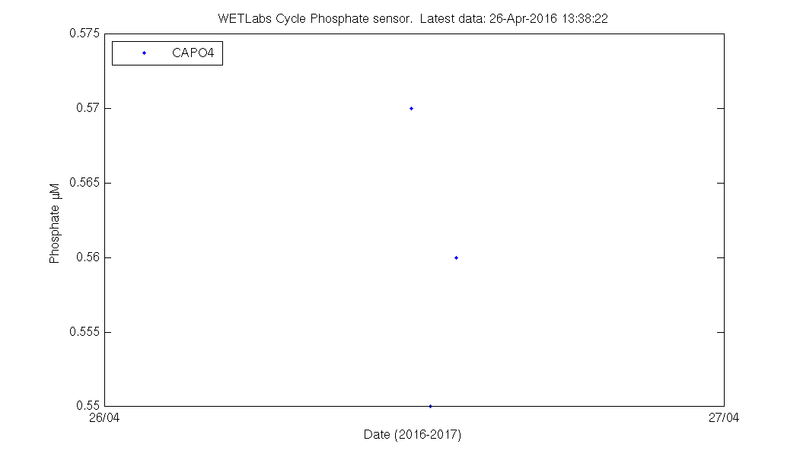 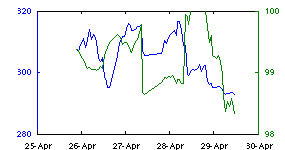 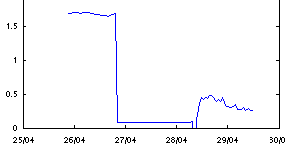  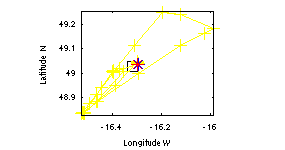 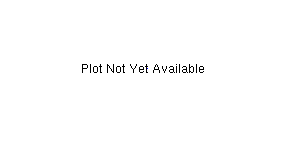 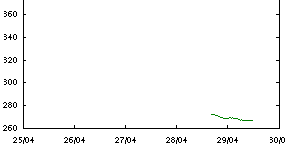 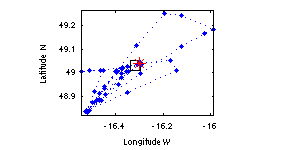 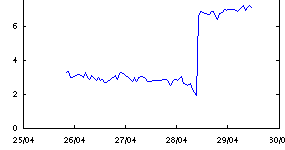 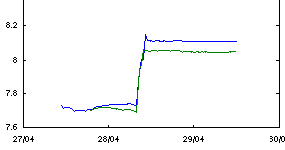 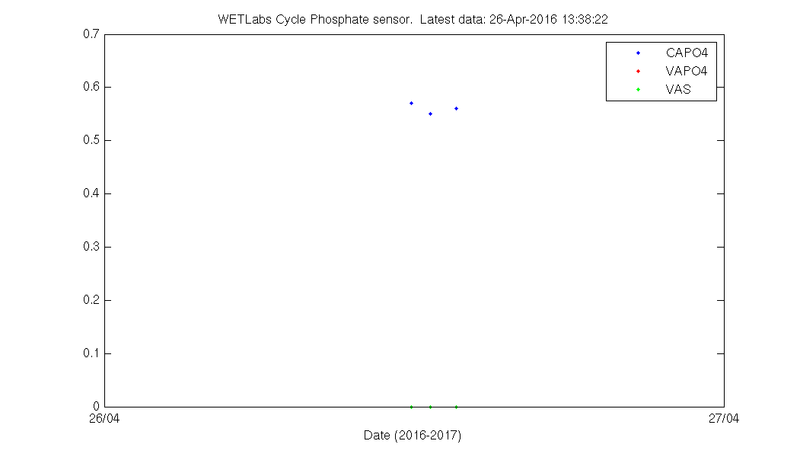 Below are the graphs generated in near-real time from data gathered at PAP. 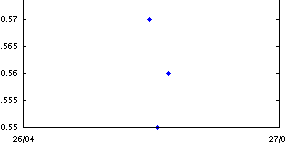 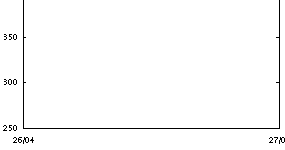 Click on an image to see a larger version. 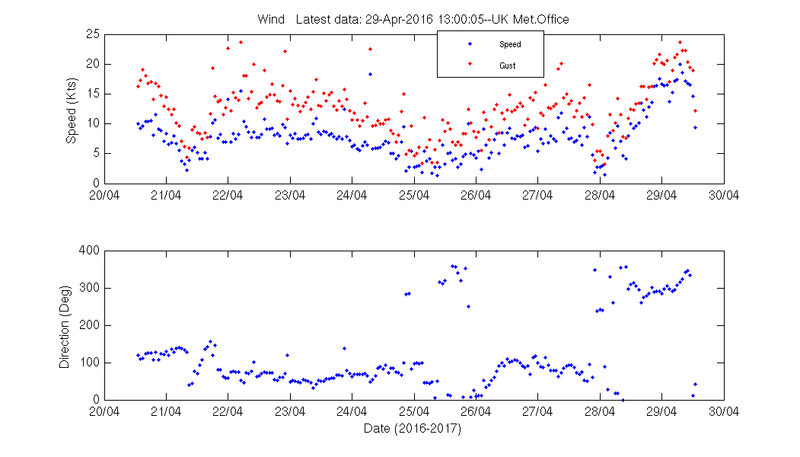 PAP is part of the MetOffice network of weather buoys, click here to view the full network. 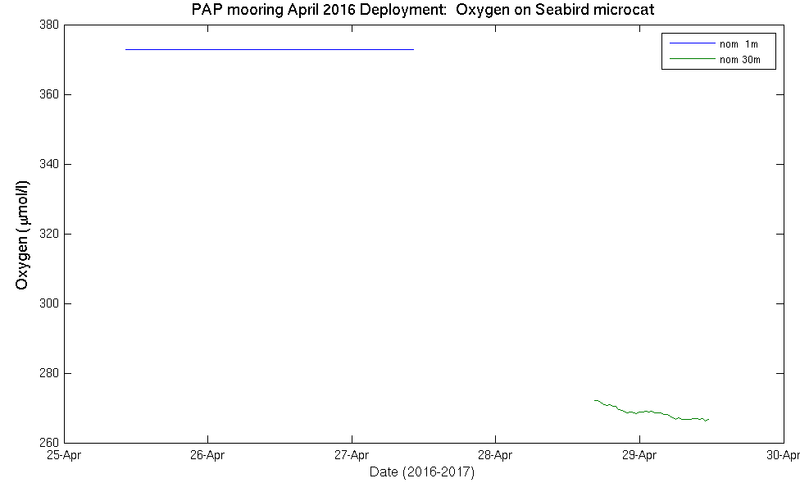 Seafloor samples have been taken at the PAP site for over 20 years. 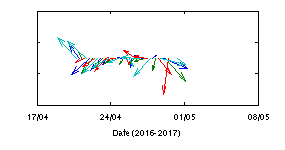 Many methods can only be achieved from research ships but some (time-lapse camera) is autonomous for high resolution long-term sampling.